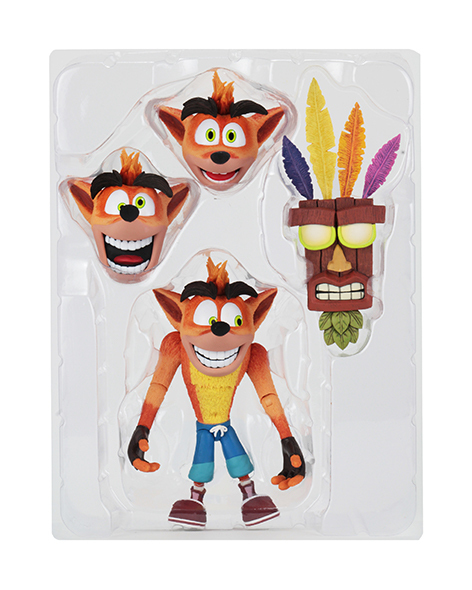 NECA’s next release in the exciting line of Crash Bandicoot action figures is an Ultra Deluxe Crash packed with extras! 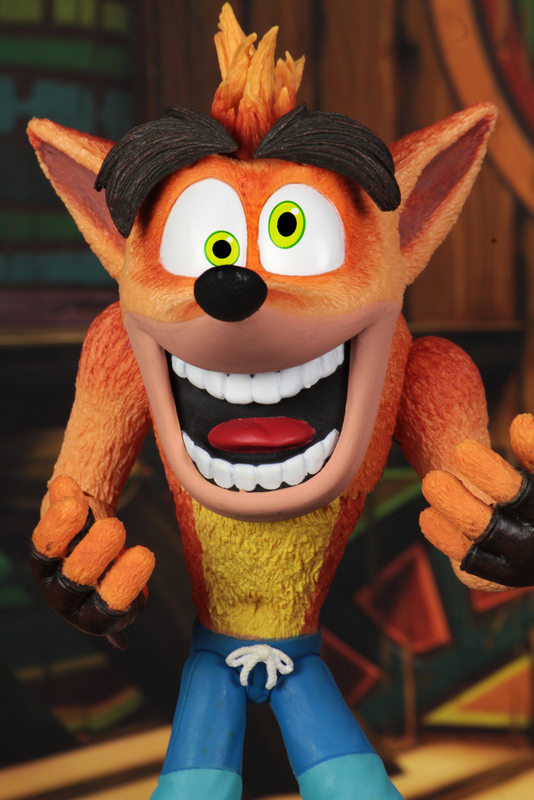 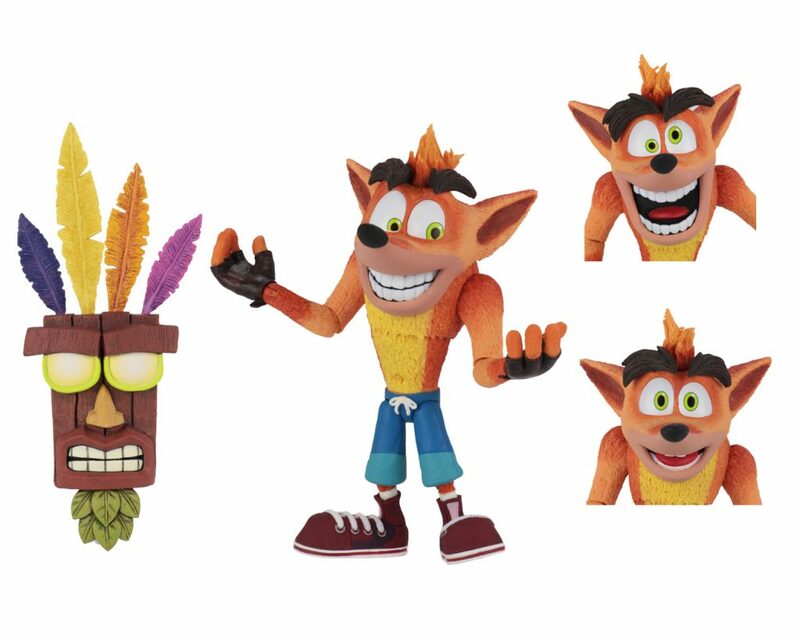 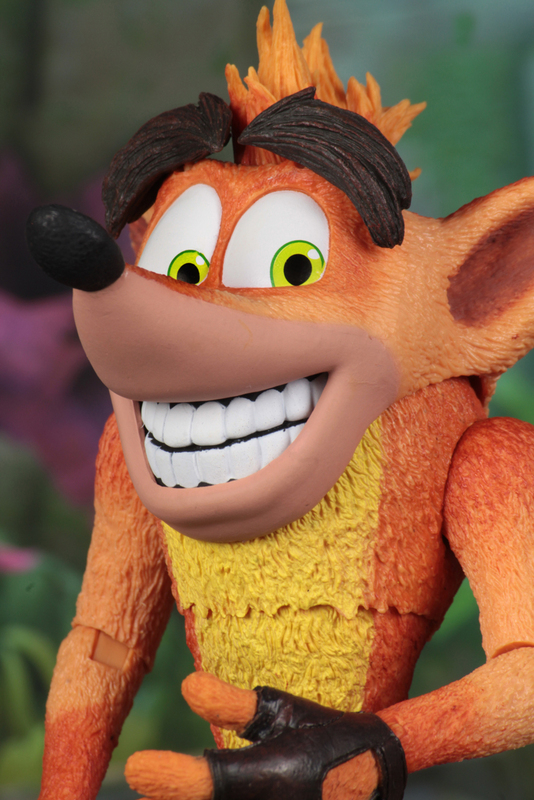 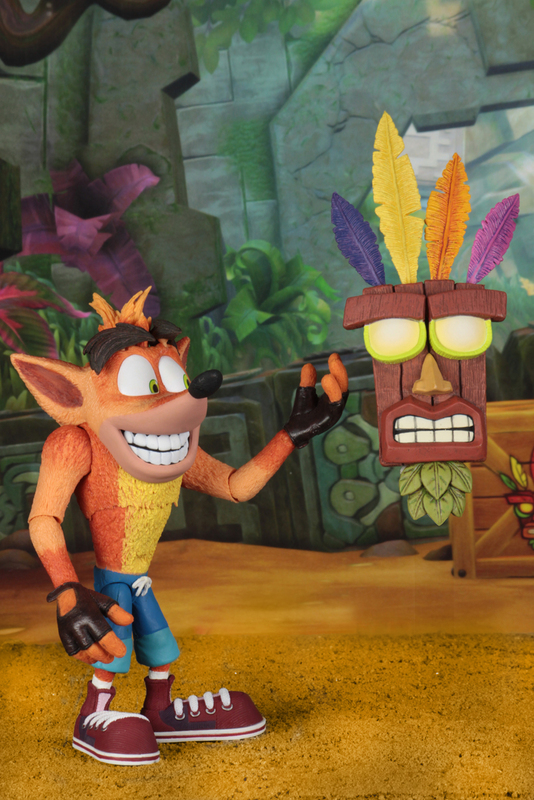 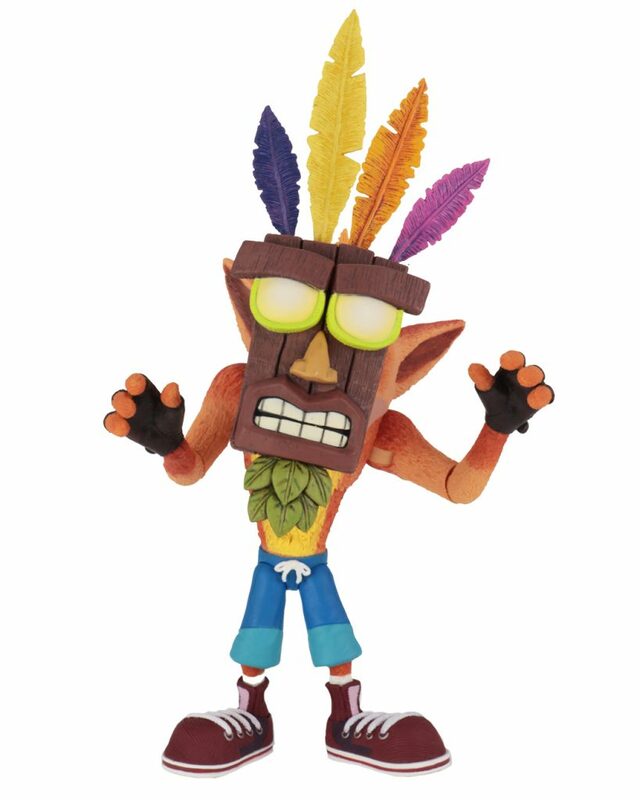 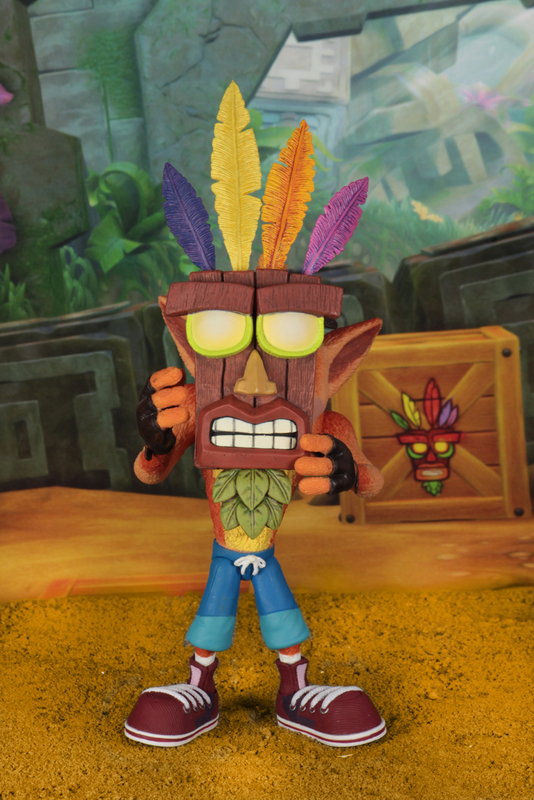 The loveable and only slightly crazy bandicoot comes with an Aku Aku mask and 3 new interchangeable head sculpts, all with different expressions and articulated eyebrows. 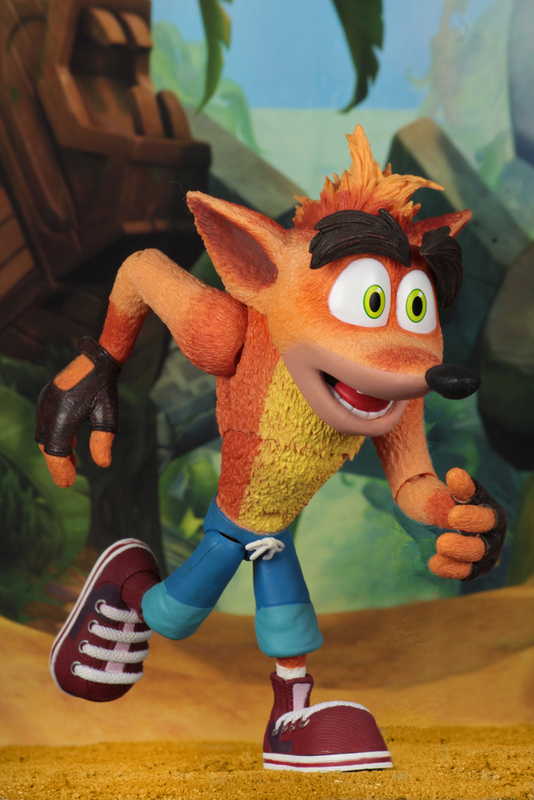 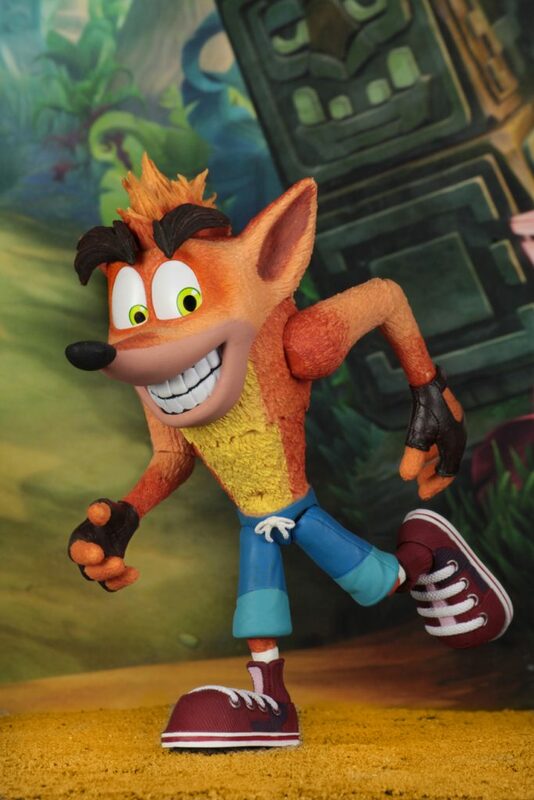 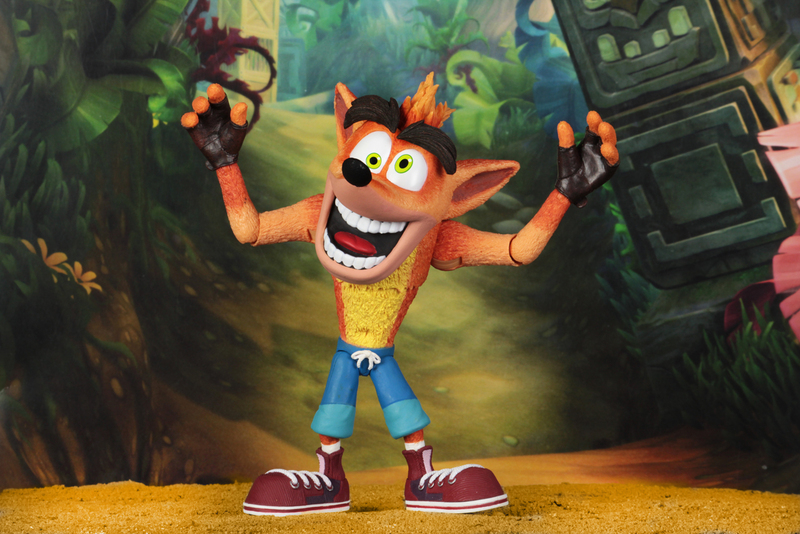 Crash stands 5.5 inches tall, has plenty of articulation for maximum wumpage and looks like he leapt right out of the game!